When Tablas Creek announced the first fruit arrival on August 13th (really??? 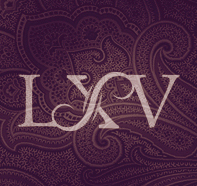 ), I pushed all our LXV growers to send us the status of our fruit, beyond just numbers. 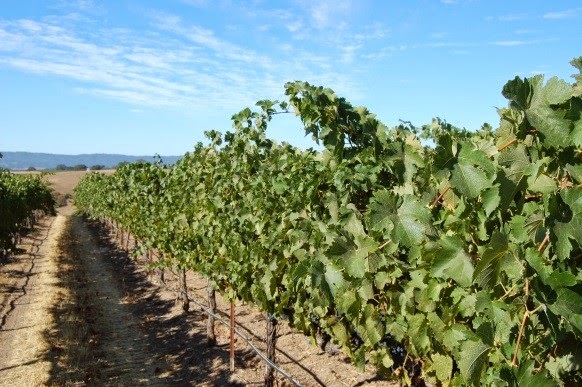 A few of them were generous enough to share a detailed outlook of the upcoming LXV harvest... here is an account from premium grower, Don Hofer , of Kiler Canyon Vineyard... contrary to what I was expecting! 5) Judicious watering to maintain the health of the vines so that the fruit develops to be healthy, berries remain small and harvest fruit is concentrated. Fruit set was generally excellent to good with a small amount of shatter in Grenache. Verasion (berry color change) began early in the 4th week of July in Syrah. This is about 1-2 weeks early when compared to the past 12 years. This led us to believe the growing season was continuing to be early. Now, we have found that the early harvest anticipation is not as significant. Note, Syrah is at sugar 20.6 to 22.3 brix as of last Friday. Projected Syrah harvest is 3-4 weeks away or ~ September 14. The canopy is starting to look a little ragged in the most advanced ripened varietal Syrah but remains healthy in all other varietals. Water: The growing season continues to remain nicely cool with temperatures rarely exceeding 100F and generally hovering in the 90s with cool nights of 54-60F. Note, these cool nights are critical to the maintenance of adequate acid in the fruit which should result in a lively, complex tasting rather than a flabby low acid wine. So, we have not had a lot of pressure to water excessively. Our irrigation of the vines is now tailored to the location in the vineyard and varietal. We do this in three ways: 1) Monitor the soil moisture content at depths of 14”, 25” and 36”. Note, for the first time in 14 years of wine grape growing the soil moisture at 36” depth is very low, at or below the wilting point. In parts of the vineyard and no matter how much we irrigate we cannot push the moisture to this depth. At this time of the growing season it is important to maintain adequate plant hydration while at the same time inducing stress(to get berry fruit concentration, anthocyanin(color) and tannin(contributes to mouth feel & structure) ). 2) We do this with a special type of soil moisture sensors(set at depths of 25” and 36”) termed Matric Potential Sensors. What these sensors do is provide information on how close to the wilting point the plant is likely to be. This is so we can induce moisture stress but not so much that the plant will shut down. 3) Take leaf porometer measurements of the rate at which the bottom sides of the leaves are transpiring water. 4) Human eye observation of the leaf-petiole angle. Note an acute angle, ~35-45 degrees indicates the plant is well hydrated and an angle larger than 60 degrees indicates the plant is under stress. 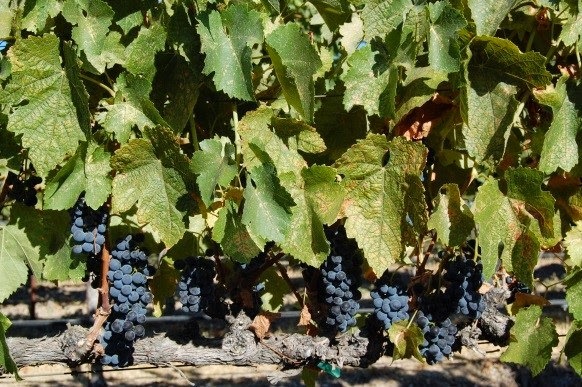 We have learned some things about managing soil moisture available to the vines this year. First one cannot trust my human eye judgment very well. Last week I thought we were doing well with irrigation judgments until I took some more leaf porometer readings. This led to the learning that we were watering excessively in some areas. So, we have increased the intervals between irrigation events. We completed green drop of any Syrah fruit bunches that had any, even 2, green berries and are proceeding to drop any Grenache bunches with green berries. This is done to assure fruit ripeness maturity is homogeneous for all harvested bunches. 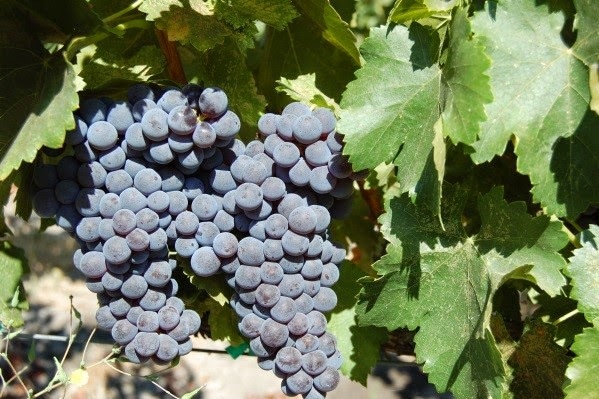 Note, this fruit ripeness homogeneity within berries and among bunches is thought by some as one of the important attributes of fruit that leads to excellent wines. "This is the crunch time where one must be conscientious to maintain adequate moisture for plant health, be on top of rate of fruit ripening and inform the wineries that now is the time to start sampling fruit so that the most optimum time for harvest is chosen." The growing season is not as early as we had concluded earlier. 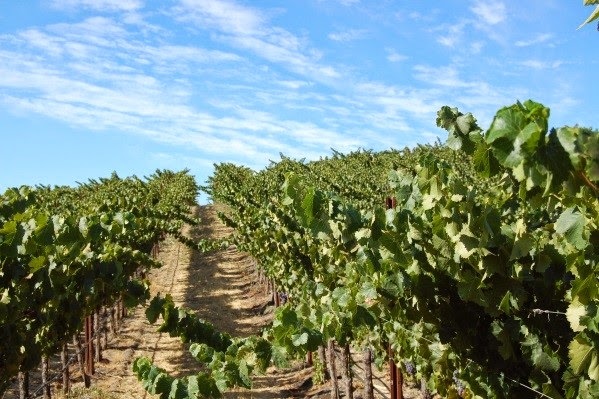 This may just be a stellar fruit year because there is plenty of time to realize good hang time and the temperatures have been rather mild for Paso Robles, west side. Finally, we have learned a few things about Mother Nature this year which are: 1) Despite all the efforts to engage in scientifically based viticulture, there are always unexpected changes in the growing season that need to be acknowledged. 2) One needs to “Go with the flow” of the growing season progression and no matter what preconceived notions one has about the harvest date might be.” My thoughts about all this farming, viticulture & the effort to obtain fruit of optimum quality are simple. As a farmer/viticulturist, knowledge and experience are essential but it’s best to be humble about one’s ability to control nature and above all be patient. Folks, That’s farming in a nutshell. P.S. The bees are doing great! We now have six Top Bar Hives populated with bees who are doing very well despite the dirth of nectar and pollen caused by the drouth this year. We harvested a little honey a couple of weeks ago. It was wonderful with strong rosemary and herbal components of flavor and bouquet. 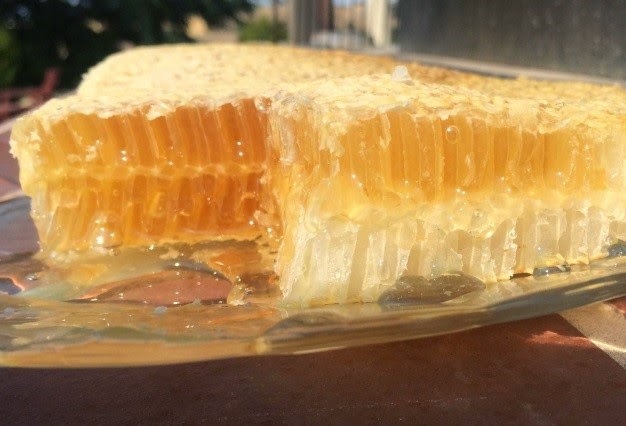 Note, Our beekeeping practices continue to be 100% organic with no man made materials used in beekeeping. the research & development of materials for semiconductor lithography. 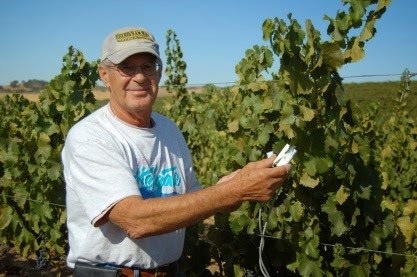 After retiring Don planted 25.5 acres of wine grapes on their property in Kiler Canyon, Paso Robles. In addition to continually learning the art and science of viticulture, Don has the hobbies of honey bee keeping and furniture building. He says his new goal in life is to become a master furniture builder. LXV Wine sources two clones of Syrah (including the Estrella clone) from Don! very interesting information about wine experiences.amazing photographes you've shared and the idea how we can make our events special with wines.great work.keep it up.